Notes: I missed a trick earlier in the year with finding a scarecrow. It’s one of the Treasure Hunt themes and I was wondering where the heck I was going to find one in December. Make one! Out of LEGO, of course. 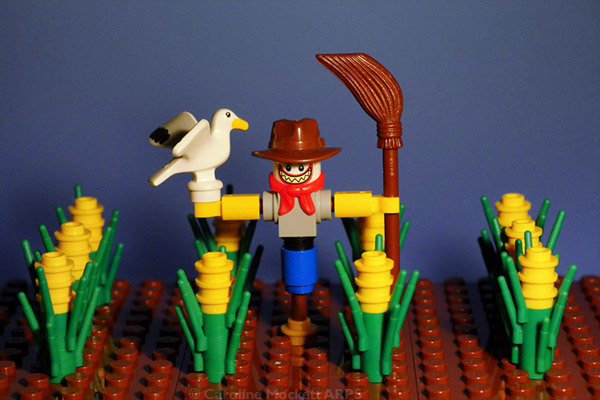 So here you see the most useless Scarecrow ever to stand in a field. The seagull is grateful to have a nice perch! Perfect for Treasure Hunt Theme #59 – Scarecrow.